Have You Already Broken Your New Year’s Resolutions ? It’s two weeks into the New Year and how many of your New Year’s resolutions have you’ve already broken? Stop sweating it if you have, the estimate is that less than 10% of New Year’s resolutions are actually achieved (University of Scranton Psychology Professor John C. Norcross, Ph.D.). My suggestion to you is to drill down to the why of what prevented you from keeping them rather than feeling like a loser. Were Your New Year’s Resolutions Too Lofty? 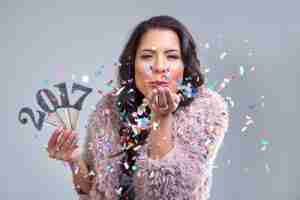 Maybe your New Year’s resolutions had to do with creating healthier behaviors such as exercising more,adopting a Paleo diet, drinking less alcohol , watching less T.V, going to bed at an earlier hour. Trying to change all of these behaviors at the same time is daunting. All of these require that you create a new habitual way of behaving . It is best to select one at a time to create the change you so desire. According to B. J. Fogg , author of Transforming Habits there are three distinct steps to follow to create a new positive habit. 1. You Must Pick A Small Action. Resolving to exercise six days a week when you haven’t exercise in years is setting yourself up for failure. Start with two days a week for 15 minutes and then slowly begin to increase the amount of days and the amount of time you work out. Set your intention of being more active throughout the day by making little changes. 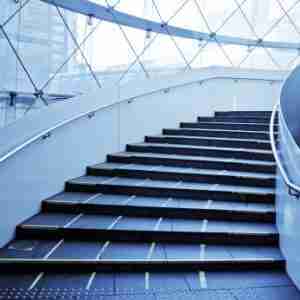 You can take the stairs versus using an elevator, park further and walk a little further to get to your destination, or set a timer and get up and walk around your office building a few times a day. 2. You Must Attach The New Action To A Previous Habit. Figure out a habit you already have that is well established. For example, your existing habit of walking into the kitchen and making coffee can act as the stimulus for the new habit of making a kale smoothie or preparing a healthy lunch. 3. You Must Make The New Action Easy To Do For At Least The First Week. Because you are trying to establish a conditioned response, you need to practice the new habit from the existing stimulus from 3 to 7 times before it will “stick” on its own. To help you through this 3 to 7 times phase make it as EASY as possible. Write a note and stick it in your walking shoe that says “Total time today for walk is 30 minutes”. Write a note and put it where you put your keys that says: “Today use the stairs.” Put the kale in the blender and have all your smoothie ingredients ready to go in one spot in the refrigerator. The science of changing existing habits or making new ones is based in rewiring your mind to create new neural pathways. Rid yourself of negative self talk and focus on how you want to feel by engaging in healhty habits. Set an intention rather than a resolution. For example, you could declare,” My intention is to release unwanted weight in the next three weeks so that I feel more energetic, sexier, and self-confident”. You could further strengthen this by the use of feelization, the mental creation of the feelings by exercising the power of thought and imagination. You literally visualize and feel yourself more energized, sexier and confident. This process can be used for any habit that is preventing you from living your best life. As you can see, you don’t have to beat yourself up for not being able to keep your resolutions. Reevaluate how you want to feel during this new year and create very doable and specific intentions coupled with visualizations of what your life will look and feel like by embracing them. This New Year can usher in the New You!